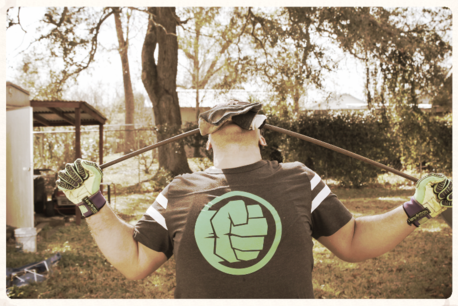 Golfers, baseball players, poloists and tennis players, all recognize the great value of strong wrists. Weak wrists are a handicap even in such light forms of athletics as I have named. A "Strong Man" with weak wrists would be unthinkable. One thing about handling bar-bells is that you get strong wrists, whether you want them or not. In almost every exercise that is performed with weights, you have to hold the bar-bell in your hands. Even when performing an exercise for the back and legs, like the one shown in Fig. 10, you develop a great gripping power in the hands. In fact, when doing this exercise with 75 lbs. the beginner's fingers will commence to slip before the back muscles themselves feel the effect of the weight. 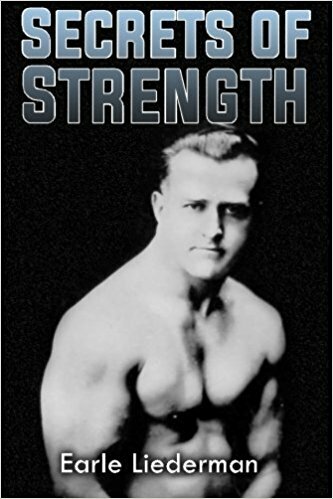 Nevertheless, most aspirants for super-strength spend some of their time in still further increasing the strength of the hands and forearms. There are no muscles in the wrist itself; only bones and tendons. Therefore, the only way to make your wrist stronger is to increase the size and strength of the muscles in the hands and forearms. As your wrist gets stronger, your hands will become thicker and more compact, even if they do not get wider and longer. If you work for super-strength, you simply cannot keep a lady-like pair of hands. In order to fully develop the power of the wrist it is necessary to practice (a) gripping exercises for the hands, (b) twisting exercises for the wrists, and (c) forearm exercises for that part of the forearm near the elbow. The popular idea is that the way to get forearm development is to clinch the fist tightly and then to bend the wrist; but this gives only a partial development of the forearm. There is nothing which develops the gripping power of the hand so much as does using bar-bells with thick handlebars. When you use a thin handlebar, the fingers encircle the handle, and so there is not much strain on the grip. It is necessary to use thin handles in many kinds of actual lifting, and therefore some lifters make a practice of using a thick-handled bar-bell or dumbbell in some of their exercises. If the handle is more than 2 inches in diameter the fingers will not lap around it, and consequently the lifter develops an incredible pinching power in his thumbs and fingers. One very good exercise for strengthening the wrist is to take a pair of light dumbbells, hold them by the hands, stretch your arms out to the sides, and then describe circles with the free ends of the bells. You should use dumbbells which have the mushroom-shaped end, and you should hold them as in Fig. 85. A pair of 5-pounders is enough to start with, and after a short time you will be able to do the exercise with a pair of 10-pounders; and when you have gotten so that you can use a pair of 15-pounders, you will notice a great increase in your gripping power and in your wrist strength. 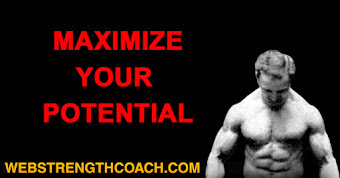 The very best forearm exercise is the one invented by George Zottman. 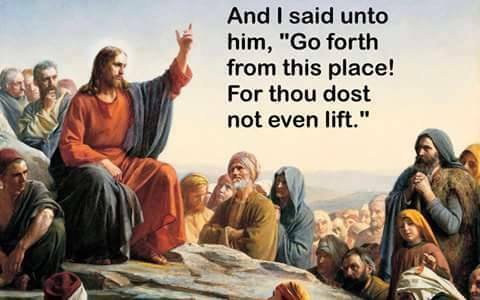 He used to do it with a pair of 50-lb. dumbbells, and you can start it with a pair of 20-pounders. Stand erect, with the arms hanging at the sides. Then bend your right arm and bring the bell up in front of your chest, with the palm of the hand up and the wrist bent strongly inward. Bring the hand still further up until it is in front of the right shoulder, and then rotate your forearm until it is in front of the right shoulder, and then rotate your forearm until the palm is front, and then lower the bell slowly (with knuckles up) until the arm is again hanging at the side. The right hand describes a complete circle. When your right hand is in front of your shoulder, start your left hand coming up. Both hands work at the same time, but as the right hand is coming down the left hand is coming up, and vice versa. Fig. 86 shows the left hand (knuckles up) on the way down, and the right hand (palm up) on the way up. This exercise develops all the muscles in the forearm. By gripping the dumbbells firmly, you develop the muscles of the hand; the muscles which bend the wrist inward are developed as you raise the bells; and the muscles on the outside of the forearm (which bend the wrist outward) are developed as you lower the bells. The elbows should be kept close to the sides throughout the whole exercise. Zottman's forearm strength is phenomenal. At one of our exhibitions he was acting as judge. One lift had been completed, and a couple of assistants were dismantling a very heavy bar-bell of the plate-loading type. (The kind shown in Fig. 14.) The biggest plates on this bell weighed 50 lbs. each and were 11 inches in diameter and 2 inches thick. In order to carry one of these plates, the average man would hold it in both hands. One of the assistants was justly proud of the strength of his grip. He stood two of these plates on edge, gripped one in each hand by the upper edges, walked over and placed them at Zottman's feet and said, "George, can you do that?" Zottman immediately leaned over, gripped the plates by the top edges, just as the other man had done, and then stood up straight and "muscled out" the plates, one to each side. Then he grinned at the other man and said, "And can you do that?" 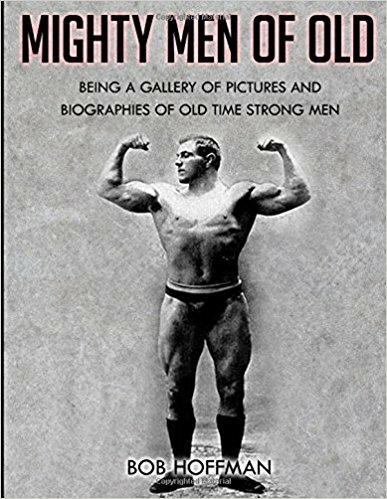 (Zottman was 50 years old at that time, and the only two men I know of who could have duplicated this stunt were Joe Nordquest and the English lifter, Vansart.) Any bar-bell exercise which develops the biceps muscle also develops the forearm. The ordinary two-arm curl, shown in Fig. 72, is a great forearm developer, if you are careful to bend the wrist inward as you raise the bell. 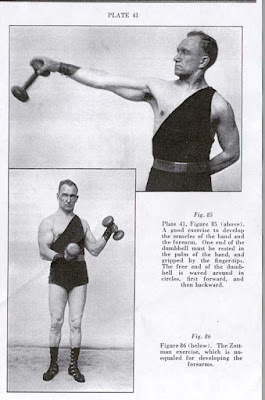 To develop the outside of the forearms by curling, you have to hold the bell by the over-grip, knuckles up, as shown in Fig. 87. You can curl nearly twice as much with the under-grip as with the over-grip, just the same as you can chin yourself twice as often on the horizontal bar when you hold the palms of your hands towards you as when you hold the palms of your hands away from you. One of the greatest tests of forearm strength is to curl a thick bar with the over-grip. Once I bought a round steel bar, about 3 feet long and 2 inches thick, which weighed 65 lbs. To do a two-arm curl with this steel bar was a cinch if you used the under-grip; but when you tried to curl it with the over-grip, the bar would slip out of your hands when the arms were bent half way. Lots of lifters who could do a back-hand curl easily with a thin-handled 100-lb. bar-bell, utterly failed to do the same thing with the thick 65-lb. bar. Anton Matysek could do it easily; Juvenal, the oarsman, could do it with even greater ease; and Zottman simply played with it. 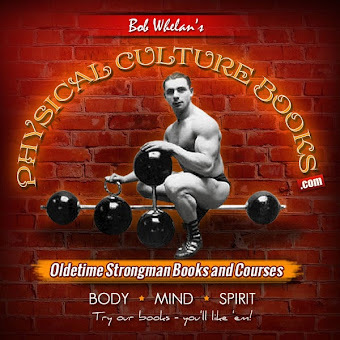 In order to curl the bar successfully, it was necessary to have tremendous gripping power in the hands and great strength in the muscles on the outside of the forearm; but the gripping power was more important. This stunt interested me so much that I had a special bar made, which consisted of a 2 inch pipe, and from each end of that pipe projected a 1-inch iron rod. We could load up the handle by slipping plates over the 1-inch rods. At one of our exhibitions Matysek demonstrated the exercise while I explained the principles involved. 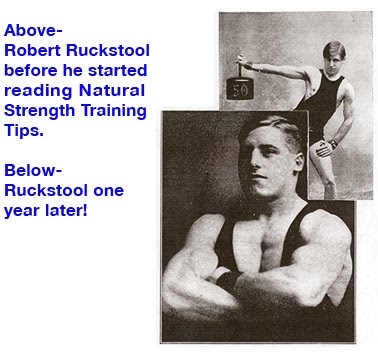 Joe Nordquest, who was present, demanded that he be allowed to try his strength, and soon there was a competition in progress. According to our rules, the lifter had to stand bolt upright and keep his elbows at his sides, in order to prevent him from getting any advantage from a swing of the body or a movement of the upper arms. One of the two claimed that the other one was not playing fair; so before each attempt we bound a belt around their upper arms, as in Fig. 88. Matysek finally won with 88 lbs., which was harder than curling a thin-handled 125-l.b bar-bell. Tests like that interest me far more than lifts in which a man's ability is dependent on skill as well as strength. It is very important to develop your forearm to the limit, because the bigger your forearm gets, the bigger your upper arm can get. In fact, if you properly develop your forearms and the deltoid muscles on the point of the shoulder, your upper arms will develop themselves. If you have time only for a little forearm exercise, use the Zottman exercise, or two-hand curling in preference to the exercise shown in Fig. 85. You remember that when I talked to you about the back and legs, I compared them to the two leaves of a hinge and said that both leaves must be of equal strength, and that the strength of the small of the back was influenced by the strength of the muscles on the back of the thighs, and vice versa. Exactly this same principal applies to the forearm and the biceps. 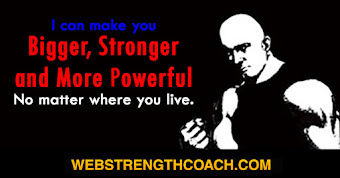 The power with which you can bend your arm depends not on the biceps alone, but on the biceps plus the forearm. If you can grasp this principal, you will at once understand why it is that while devotees of light exercise rarely succeed in getting forearm larger than 11 ?-inches around, a bar-bell user is not satisfied with a forearm which measures much less than 13 inches. Extreme finger strength can be developed by lifting weights from the ground with one finger at a time as in Fig. 89. That is a rather dangerous exercise, because if you make an attempt at a weight which is too heavy, it is possible to snap a tendon. It is perfectly possible to develop the finger strength to the greatest possible extent by using the whole hand, rather than one finger at a time. 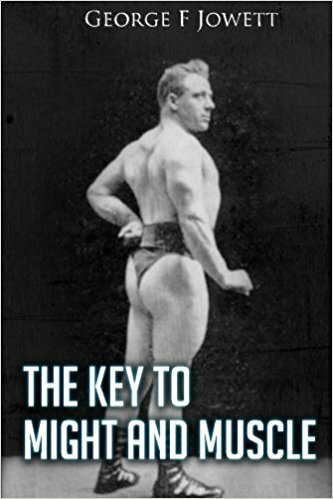 One-finger lifting is a favorite stunt with exhibitionists; but those men commonly use a prepared grip of such a shape that once the finger is inserted in the grip, it is almost impossible for any amount of weight to straighten out the finger. Such lifts are interesting from an exhibition standpoint; but they have little or nothing to do with the creation of strength, which is the subject in which we are concerned.